Menu path: Data Management > Activity. 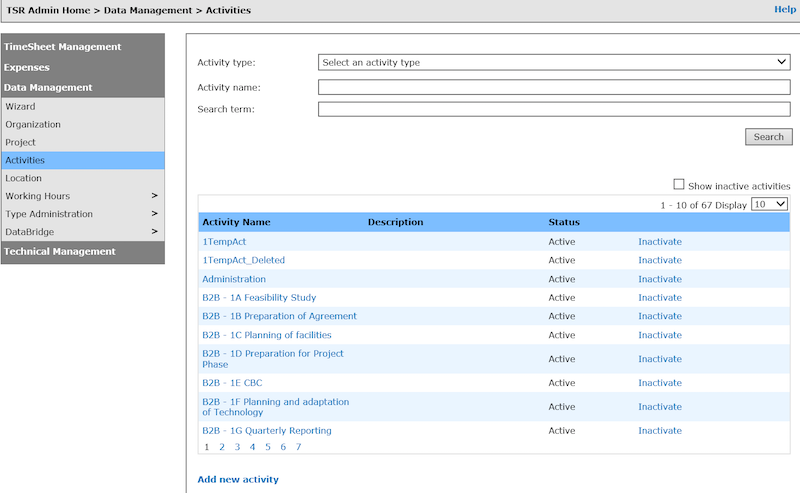 This page allows you to manage activity data. Step 1: Click on “Add new activity”. You can also add it to projects, when editing your projects. Step 1: Click on the activity name that you wish to update. Step 3: Click the “OK” button to update or the “Cancel” button to return. Click “Inactivate” to inactivate a corresponding activity. Click “Activate” to activate an inactive activity. 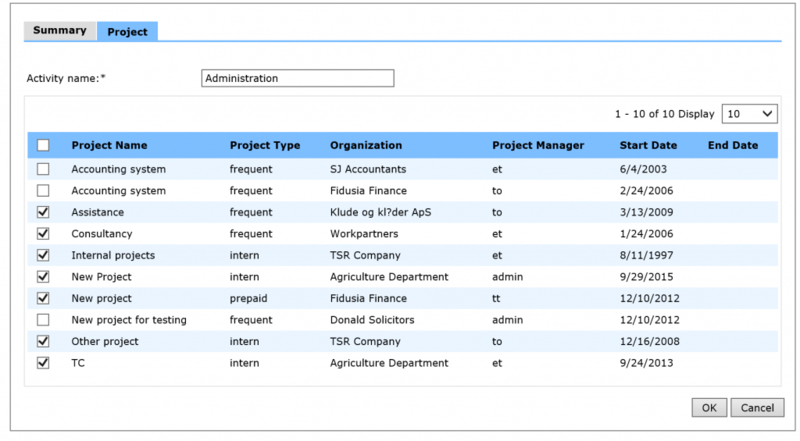 With TSR DataBridge, you can import, export and edit your activities in bulk.